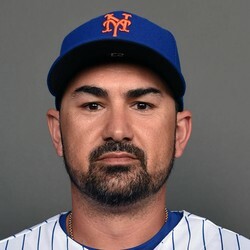 Adrian Gonzalez was released yesterday by the Mets after signing a one-year deal with the ball club in the offseason. The team recalled Dominic Smith to take Gonzalez's place on the roster. Basically a non-factor this season for the offense, Gonzalez had gotten everyday at-bats at first base. Expect Smith to get the majority of the at-bats at first base going forward.